In Kentuckiana, window screens allow you to enjoy fresh breezes while keeping pesky bugs out of your home. Our seasonal transitions have us opening and closing our windows regularly. Today’s screens offer helpful new technologies and options which give homeowners new conveniences for enjoying fresh air in our homes. Many homeowners prefer the clear view of a screenless window but don’t like the inconvenience of removing and reinstalling screens. There are several options now available for improving the clarity and convenience of using screens. 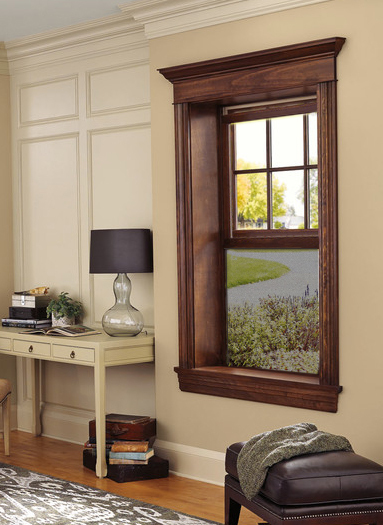 Half-screens are a nice option for double-hung windows particularly if you don’t open the top sashes. 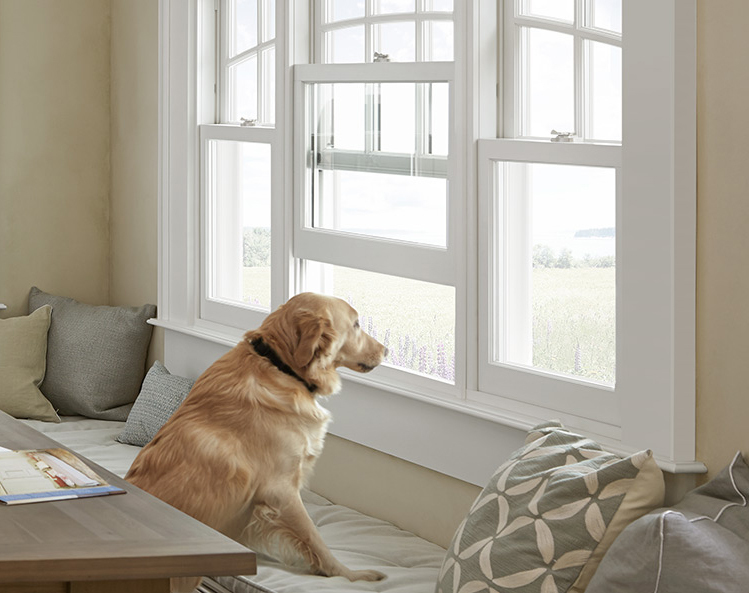 Half-screens are installed in the lower half of a double-hung window allowing a clear view through the upper half. It’s the easiest and most affordable way to get screen coverage and clarity in one package. One of the newest screen technologies – retractable screens – offers an excellent convenience. Simply glide your screen across the window and snap it into place when you want fresh air without bugs. Slide back when you want an open view through your window. When rolled away, the screen is completely protected from the elements, reducing cleaning and maintenance. Now you see it, now you don’t. Available in various levels of transparency, this screen style features a tighter, finer mesh for a clearer view to the outdoors. Since the clarity of these screens can make them harder to see, they are not recommended for sliding or storm doors. Pets and small children can wreck havoc on fragile screens. Screen technology has improved to help you avoid constant screen replacement or repairs. Ideal for sliding screen doors and low windows, pet screens are much stronger than traditional fiberglass or aluminum screening. Up to seven times stronger than traditional screen mesh, pet screen is more resistant to tears and damage caused by household pets and children. 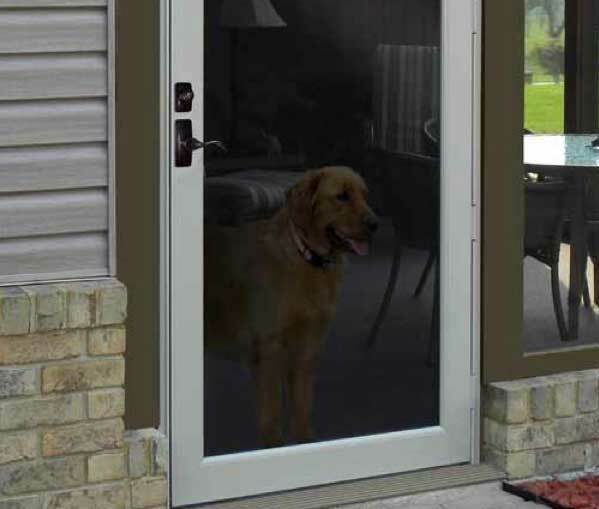 The ultimate in screen durability, stainless steel screens are available on select storm doors to keep small children and pets safely inside. Due to secure design, screens are non-removable. 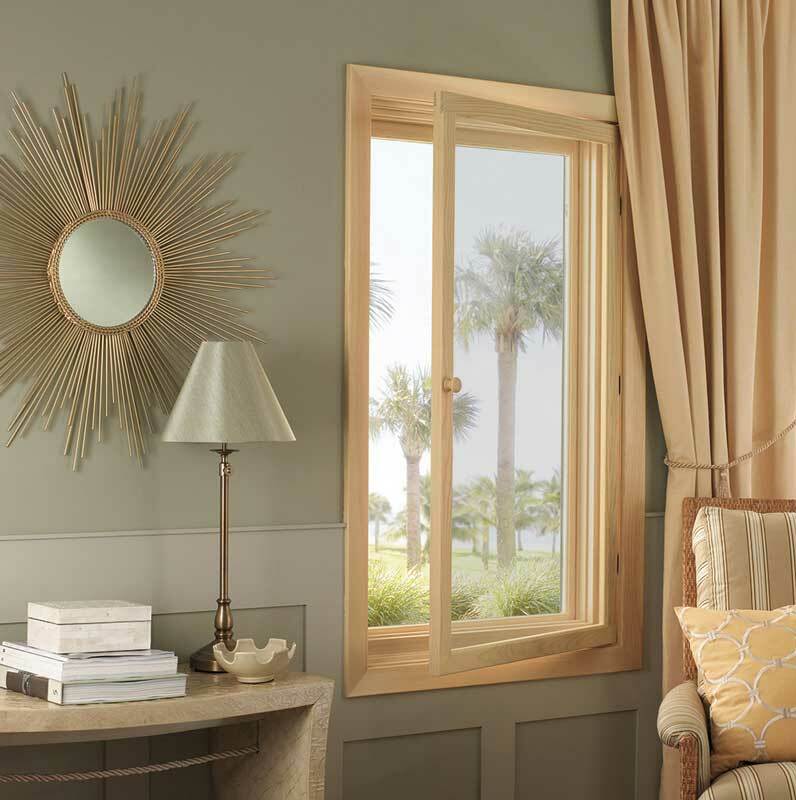 Marvin Windows and Doors offers a beautiful casement window with a push out design. Turn the handle and push the window open. No fancy technology here, no cranks either. But that means you need access to the window at all times…you don’t want to have to remove your screen every time you open your window. We’ve got you covered. This screen features a wood frame hinge mounted to the side of the window. Swing the screen open, push your casement window open and close the screen. Voilå! Fresh air. It’s quick and one of the more attractive screen options we’ve seen. 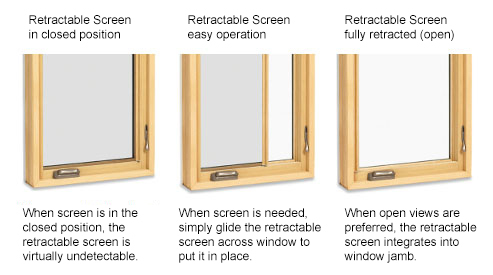 Retractable screens also work for push out casement windows. Please note: Not all screen options are available on all windows or doors. Please consult your Door Store and Windows design specialist to help you find the best solution for your specific needs.